The General Services Administration has proposed to evaluate the sustainability goals of vendors bidding on the government’s upcoming potential $1.5 billion package delivery services contract. 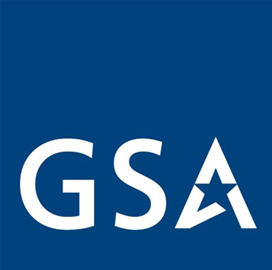 GSA is seeking a contractor to perform express and ground package shipping work for government agencies between 2014 and 2018 under its third-generation Domestic Delivery Services contract, the American Clean Skies Foundation said Friday. “This new GSA contract could set an important new benchmark for government transport contracts, and GSA should be applauded for expressly recognizing that transport related pollution has quantifiable costs and negative impacts on federal agency operations, ” said Gregory C. Staple, American Clean Skies chief executive. “Hence, it makes sense for the government to compare the environmental performance of its current and potential business partners, ” he added. ACSF recommends that GSA offer contract incentives to a selected vendor that adopts measures to reduce carbon footprint and deploy alternative-fuel vehicles. The nonprofit also called on the Defense Department to develop environmental performance metrics for assessing contractors who compete for that agency’s potential $2.5 billion global express delivery services contract. A 2012 ACSF report made recommendations on how the federal government could leverage $150 billion it spends every year on freight services to meet fiscal, defense and environmental goals.